Our home is one place we want to be able to sit and relax. We want it to be our sanctuary, a place of peace where we end our days. Having visual clutter at home does the exact opposite. It ends up being a constant reminder that our work is never done. That we aren’t ready to relax. Therefore we can never reach that calm. Now I don’t mean we need to have a picture perfect home, just one that wont make us feel overwhelmed at the sight of it. 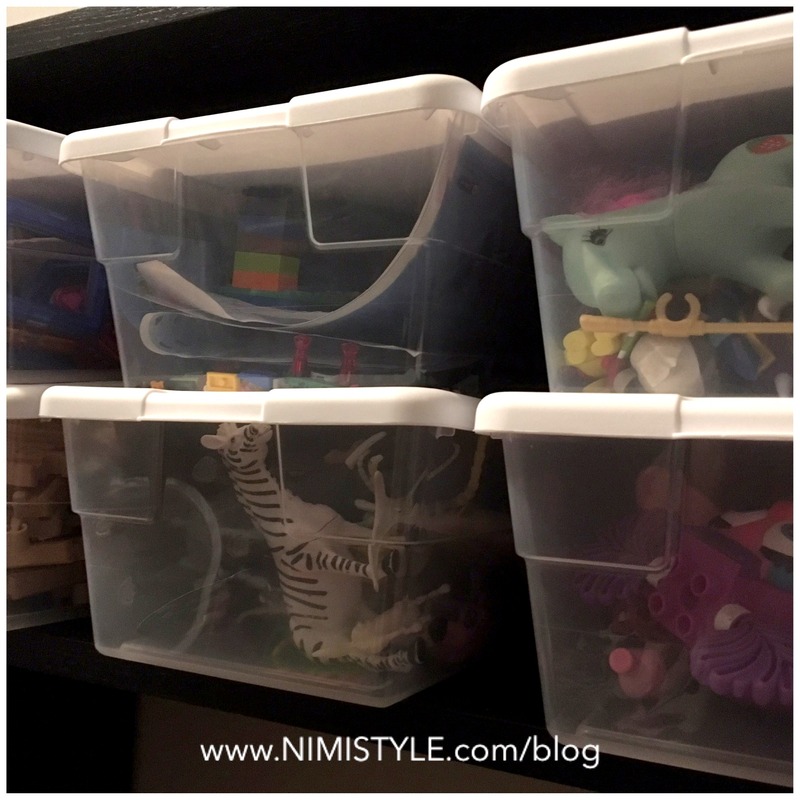 I have a few key tips i use myself to help keep the clutter out and the peace in. This is like the queen tip to all my tips. Everything im going to mention in the next few tips link back to this tip right here. In our home there is one as soon as you walk into our foyer. We check the mail immediately and throw out anything that we don’t need. We are able to empty our pockets, throw out shopping bags, or even pick up any leaves that trailed in. Fact is if that trash can wasn’t there those leaves would stay there until I’m ready to broom. That mail would pile up on the stairs until I’m ready to sit and sort. Having that garbage can stops it before it even gets to that point and it takes minimum effort. By the time the kids have their shoes and coat off all the mail is sorted. Anything that is important gets moved onto the stairs (Our pending pile- more about this in tip #2) to be taken into the office. I have a trash can in my room & in my closet. Why two so close? The closet one is great to easily throw out clothing tags or dry cleaning bags while changing, but it is specifically there for my hubby. When he used to empty his pockets into his drawer, the garbage went in their as well. The next morning his stuff would go back into his pocket, but the garbage stayed. When that bag wasn’t there, he didn’t make the effort to walk a few steps to throw it in the trash can in our room, and i dont blame him because it took effort. He’s tired from a long day of work and is looking forward to a long night with the kids. He just wants to change, not clean. This closet trash can just makes it easier and not feel like a chore. We even have one in the formal living room. I have fresh flowers throughout the house, especially in the formal living room and any petals that fall go right into the trash, it’s within arms reach. If guests have to use a tissue the trash is right there for them. When i was decorating for the holidays, all the wrappers went right in there. I didn’t need to make a pile to take to the trash. Even if it’s for one thing once in a blue moon. It’s worth it. You and I both know, If you don’t have a place to throw it out, most likely what happens is you’ll put it down, forget about it & then end up passing each time thinking I need to get to that. Overtime more items will accumulate, and it just becomes a “job” to clean up the pile that could have been avoided. Also these trash cans don’t need to be typical trash cans. They actually dont need to be trash cans at all since most likely they won’t be housing any perishables. 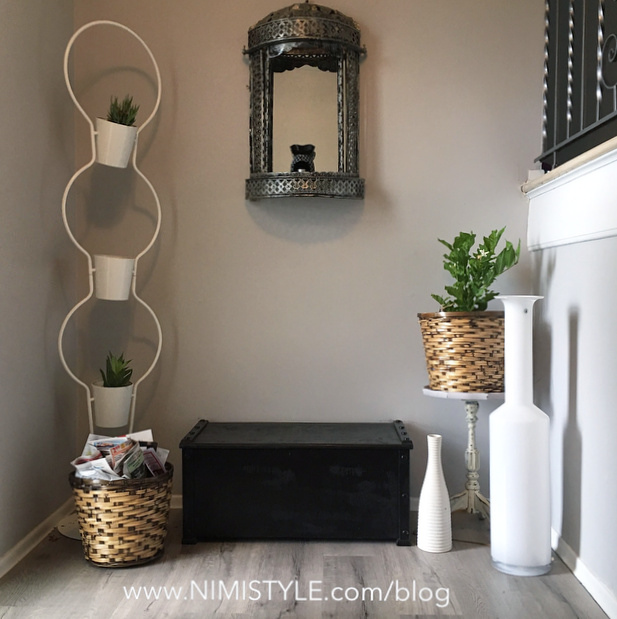 The one in our foyer is a wicker basket, the one in our closet is just a hanging bag, and the one in our formal living room is actually a large candle holder. 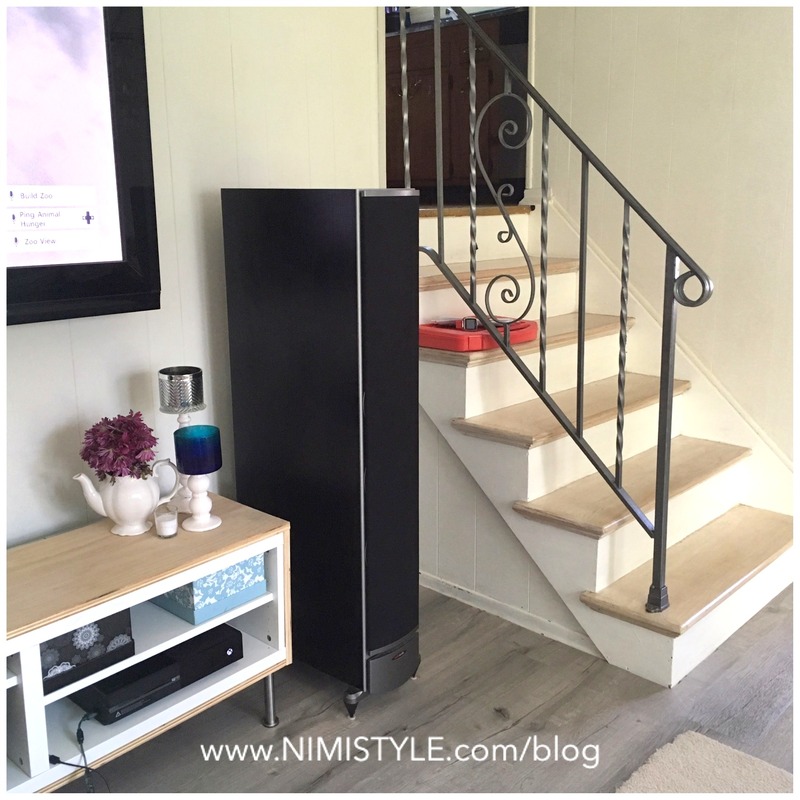 They all are decorative, fit into the look of each room, and keep us living clutter free. Also if it’s going to be a struggle putting things away in multiple rooms from one spot then go ahead and have a pending area in each room. 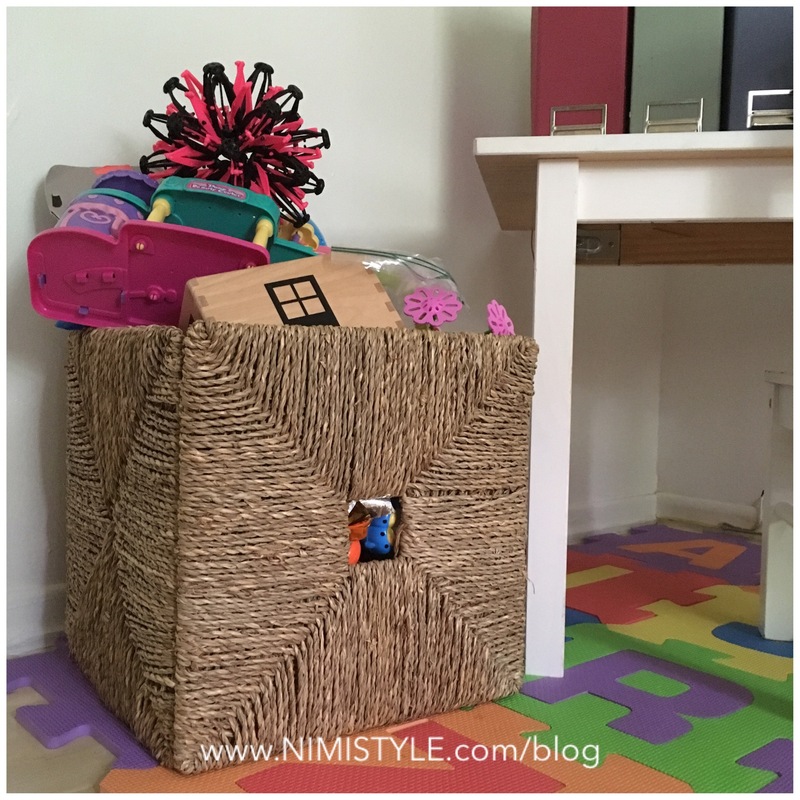 You can have a small basket, hang a tote on each door or even have just a small pile right by the door. Every time you enter the room put one item away. Before heading to bed go into each room and clear that area. Each person can tackle one room. Do what works for your family in deciding where these areas should be and how many you should have. For us we all tackle the stairs as a family right before bed and are done within minutes. This tip goes hand in hand with tip #3. See what areas you struggle with. Is it your wardrobe? Dinner sets and kitchen appliances? Electronic? Paper clutter? Toys? Find everything a home and get rid of what doesn’t fit. Once you let go and see how easy staying clutter free is. It gets kind of addicting. We really dont need that much stuff, and it really does feel so good to let go. As weird as it sounds, I feel like i can breath better owning less stuff. It’s less stuff to organize, less stuff to clean, less stuff to put away. Try to have items that serve mutiple purposes. Have you heard of a capsule wardrobe? The same idea can be applied to your home. 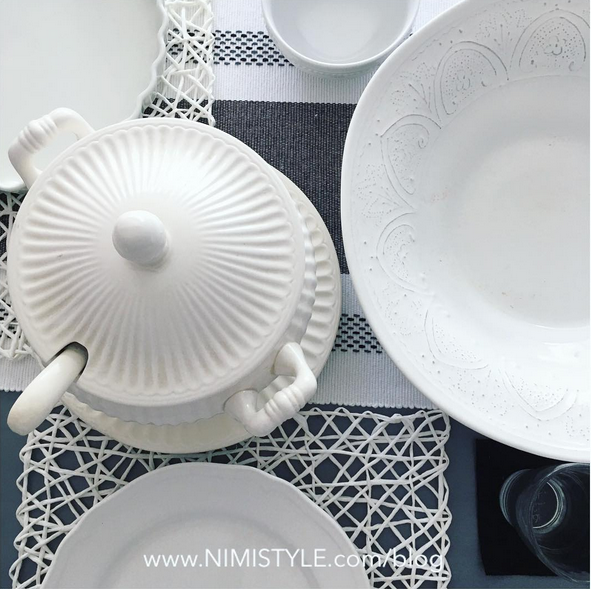 Ive decided on an all white dinnerware/ server ware set. Its not really a premade set. I purchased items as I needed them. Since it’s all white its easy to find items and it matches everything. I dont need multiples in different colors. A white tureen works for soups, stews, and anything else you can think of. We use our white plates and bowls for daily use, and dress them up with nice place mats (also white) for when guests come over. I do the same thing with our bedding. Each room has two white sheet sets we rotate between and a third unused one i keep for emergencies. These match any seasonal decor. They can be dressed up or down, and whats best is i only need 3 per room! Do you have any tips and tricks to keep your home clutter free and organized? I’m always on the hunt for new ideas to make my home maker life easier so please share!